In this video interview, Dr. Patrick Ellinor, electrophysiologist at Massachusetts General Hospital, talked about his research as part of a consortium that investigates the correlation between genetics and atrial fibrillation. The consortium, the CHARGE AF or AFGen Consortium, is co-led by Dr. Ellinor, Dr. Emelia Benjamin (Framingham Heart Study), Dr. Susan Heckbert (Cardiovascular Health Study, Washington), and Dr. Stefan Kääb (Munich). Dr. Ellinor discussed how in the past five to seven years they have learned that a family history of afib can be a risk factor for the disease. For example, individuals with an immediate family member with atrial fibrillation have a 40% increased risk. Additionally, the younger and healthier a family member is when afib starts, the greater the risk for other family members. For example, having a brother who starts to experience afib in his 30s means a greater than two-fold risk for his first degree relatives. 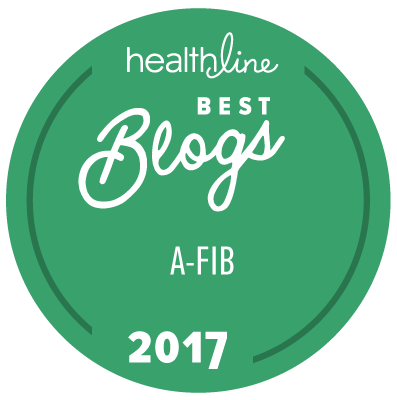 Dr. Ellinor cautioned that those with a family member with afib should take palpitations or arrhythmias seriously. Working together with others in the consortium, three regions of genetic susceptibility have been identified. When asked what patients can do to help with his genetic studies, he mentioned that those with a large family with lots of afib running through it can get in touch with his research nurse, and provide genetic material for their study. If a family has more than five to six individuals with atrial fibrillation, his team will travel to them to enroll the family in the study, including EKGs, echocardiograms, and blood samples. Dr. Ellinor is a cardiac electrophysiologist at Massachusetts General Hospital (MGH). His clinical focus is on cardiac arrhythmias and in particular atrial fibrillation and heritable arrhythmias including long QT syndrome, Brugada syndrome and arrhythmogenic right ventricular cardiomyopathy. Dr. Ellinor attended medical school and graduate school at Stanford University followed by medical internship and residency at Brigham and Women's Hospital. He then came to MGH for his fellowship training in cardiology and cardiac electrophysiology. He joined the faculty in the Cardiac Arrhythmia Service in 2003. Dr. Ellinor is currently an Associate Physician at MGH and an Associate Professor at Harvard Medical School. Mellanie True Hills: This is Mellanie True Hills reporting from Boston Atrial Fibrillation Symposium. I’m with Dr. Patrick Ellinor. He’s a cardiac electrophysiologist at the Massachusetts General Hospital and an associate professor of Medicine at Harvard Medical School. Dr. Ellinor today will be talking about genetics and atrial fibrillation, and I appreciate him taking the time to share some of his findings with the atrial fibrillation patient population. So, Dr. Ellinor, let me just throw it to you to share with us what you’re going to talk about today. Dr. Patrick Ellinor: Thanks very much, Mellanie, for asking me to chat this morning. I thought what I’d do is just give a little summary of the types of work that we’ve been doing in the last few years. I’m sure that many of the patients are familiar with the concept that atrial fibrillation has many risk factors associated with it. For example, the older you get, the greater the risk of atrial fibrillation. If you have high blood pressure, you have a greater risk of atrial fibrillation. We’ve also learned in the past five to seven years that if atrial fibrillation runs in your family, that can be a risk factor for the disease. And that is true both in general populations, say for example in the Framingham Heart Study, or in the specialty clinics, like our own arrhythmia service. In a recent manuscript led by one of our fellows, Steve Lubitz, and also coordinated by Dr. Emelia Benjamin, who is a collaborator of mine at the Framingham Heart study, what Steve and Emelia found was that if you have a first degree relative, or someone in your immediate family with atrial fibrillation, you have a 40% increased risk of getting atrial fibrillation. And the younger and healthier that that family member is, again the greater the risk. So for example, if you have a brother who has atrial fibrillation that starts when he’s 30 years old, you have a greater than two-fold increased risk of getting atrial fibrillation. That’s not only true of the general community, like Framingham, but is also true that there are families, and clustering of families, with atrial fibrillation that we see in the arrhythmia service. We’ve tried over the past few years to identify the specific genetic causes for atrial fibrillation, and one of the ways that we’ve done that is to bring together entire populations and groups of investigators. So we have a consortium CHARGE AF or AFGen Consortium that is led by myself and a number of colleagues, including Dr. Benjamin of the Framingham Heart Study, Dr. Heckbert in Seattle at the Cardiovascular Health Study, and a colleague, Dr. Stefan Kääb in Munich, among many others. And we’ve brought together a large group of investigators that have data on patients with atrial fibrillation and genetic information, and we put that together to try to identify common causes for atrial fibrillation. And to date there are three regions of genetic susceptibility for atrial fibrillation. Mellanie: So, Dr. Ellinor, is there anything that we, as atrial fibrillation patients, can do to help with the efforts of you and the team? Dr. Ellinor: That’s a great question and thanks for asking. Certainly, I think, a few things. As an individual patient, I think it’s helpful to know that if you have someone in your own family with atrial fibrillation, you might want to take palpitations or any sensation of an arrhythmia more seriously because you are at an increased risk of atrial fibrillation. As far as helping with the research, absolutely. For those individuals that have a large family with atrial fibrillation running throughout it, we’d love to learn more about your own family. And certainly in our own arrhythmia clinic we approach all the patients about participating in these studies. So I think keeping an open mind towards participation in the research would be tremendously helpful. Mellanie: Is there a way for us to provide genetic material that can be helpful, especially if you have multiple family members who actually have afib? Dr. Ellinor: Absolutely, and that would just be getting in touch with us, and we could provide a link to do that to get you in touch with the research nurse that helps coordinate these types of studies. And when there is a very large family with atrial fibrillation, we actually travel to wherever that family is to do all the types of things that we would need to do to enroll them in the research study. When we do that, that’s fairly specialized, so we would do things like EKGs, echocardiograms, and blood samples. Everything you would get in your cardiologist’s office, we bring to you. That we generally do when the families are quite large, so more than five to six individuals with atrial fibrillation in a given family. Mellanie: Awesome. There’s so much exciting information that’s coming out here at Boston Afib, and the whole area of the genetic component of atrial fibrillation is so important to those of us in the atrial fibrillation community. So we really appreciate you taking the time to share with us what you’re presenting here at Boston Afib. Thank you so much, Dr. Ellinor. For StopAfib.org, this is Mellanie True Hills.